Susie loves bright colors, the smell of brand-new tennis shoes, burnt hotdogs, sock monkeys and laughing till her sides hurt. She’s fun, creative, and has traveled to every continent in the world—yes, even Antarctica. She’s an OKC Thunder basketball fan and has given the invocation at several of their home games. Susie grew up in Bethany, Okla., and attended Southern Nazarene University where she served as the first elected female student government president and received a B.A. in Communications with minors in education, English and creative writing. She received her Master’s Degree in creative writing from the University of Central Oklahoma. Susie was awarded the honorary Doctorate of Divinity degree from her alma mater in 2016. After staff ministry, she enjoyed teaching speech, English, drama and creative writing in the public school system. Her public school experience was interrupted with an invitation to join Focus on the Family who hired her to create a magazine for teen girls. Brio was launched in March of 1990, and Susie served as editor for nearly two decades. During that time, she also launched a spin-off magazine for older girls called Brio & Beyond. She also started a book line for teens girls, began overseas mission trips for guys and girls (which still continues today—see the missions section on this Web site) and produced two mother/daughter cruises. In 2009, due to economic problems, Focus on the Family discontinued their teen products and dismissed the youth staff. 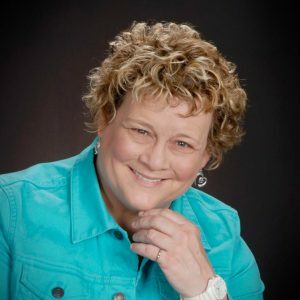 Susie, already an ordained elder in the Church of the Nazarene, entered fulltime evangelism while launching a new magazine for teen girls titled SUSIE Mag. She was against naming it after herself, but the marketing team at the new publisher’s insisted on using her name as a bridge of familiarity for Christian teen girls wondering what happened to Brio. Three years later, she changed the title to SISTERHOOD Magazine (see link for more information). Susie was honored by Southern Nazarene University in 2000 with The Centennial Award, and October 6, 2010 Olivet Nazarene University awarded her the Reed Institute Lifetime Achievement Leadership Award. Fasten your seatbelts! Once Susie begins, she delivers a rapid-pace, in-depth, non-compromising message that an audience will remember for years, Using lots of humor, she dives inside the Scripture and pulls out fresh, creative, captivating challenges. Susie is passionate about Jesus Christ and travels approximately 42 weeks/weekends every year guiding people into deeper intimacy with Him. In the past, Susie toured with ZOEgirl and Superchick as their keynote speaker, served as keynote speaker for Girls of Grace with Point of Grace for four years and completed two Christmas tours with Rebecca St. James as her keynote speaker. Susie has also spoken at Creation Festival and Alive Festival. Susie has written 54 books, see the Store for ordering information. She says she’s heard some good things about them but hasn’t actually read any.